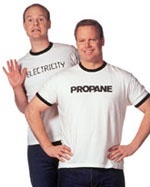 Propane gives you more hot water at a more affordable price. That’s why millions of American homes use propane to heat water for their showers, washing machines, and dishwashers. There Are So Many Good Reasons to Cook with Propane Gas. Cooking with gas can be significantly cheaper than cooking with electricity. quickly. Electric burners that have not completely cooled can be dangerous. 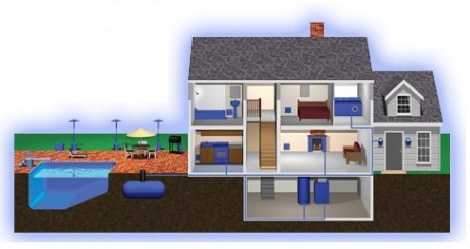 Why Propane Offers Greater Heating Comfort. 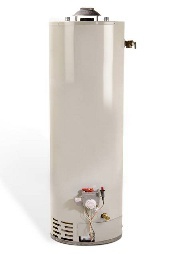 Propane furnaces offer you warmer air than electric heating systems. A gas furnace heats air to about 120°F and operates in short intervals to minimize operating costs. An electric heat pump produces heat below body temperature, so the air actually feels cool when placing your hand in front of a vent. Fireplaces and other hearth products are now found in almost 65 percent of all new homes (Hearth, Patio & Barbecue Association). Here’s why so many keep the home fires burning with propane. 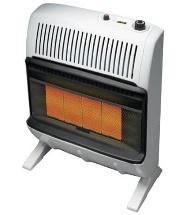 Vent-free, propane-fueled space heaters are incredibly efficient. In fact, based on manufacturers’ data, they’re 99.9 percent efficient. These heaters also include a smart-safety feature called an oxygen depletion sensor. off the heater if oxygen levels drop below specified thresholds. 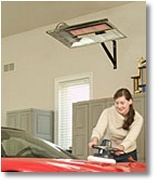 Some models also offer thermostats and heat distribution blowers for more efficient operation. Click below to use the Energy Savings Calculator to compare the costs of using propane gas appliances and equipment to the cost of using electric and other appliances in your home.